The variety of types of insurance available can be baffling. The majority of individuals make do with home and motor (or auto) insurance; comparatively few take out life insurance policies. 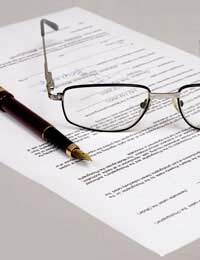 It is important to remember, however, that there are a number of other potentially useful insurance agreements. Income protection can be a vital help in circumstances in which the policy holder is no longer able to earn enough. Income protection insurance gives a guarantee that, in the event that the policy holder becomes unable to work, at least some of their earnings will be replaced by the insurer. Generally, income protection policies will pay out in instances where the policy holder is no longer able to work as a result of an illness or disability. In many cases, employees will have some guarantee of income protection without the necessity for a separate insurance policy. Many employers will make some provision for your financial security in the event of your illness of disability, making income protection insurance (which is sometimes referred to as permanent health insurance) unnecessary. For those who are self-employed, however, this type of insurance is highly recommended. If you are self-employed then you are highly unlikely to have any agreement in place whereby your earnings will be guaranteed if you are unable to work. The only potential exception to this is if you are a member of a trade association or union; some such organisations, for example the Musicians' Benevolent Fund, try to offer financial help to those who are out of work as a result of illness. The terms of your policy will determine when the insurer pays out. In general, policies will only pay out after a 'deferred period'; this is the minimum period for which you must be unable to work before you will receive any payment. The length of this period will vary depending on the size of your premium. The standard length is four weeks, but many insurers will offer lower premiums in return for a longer deferred period. If you are an employee and looking at income protection insurance, you may wish to agree to a deferred period that corresponds with the maximum amount of paid sick leave that your employer is willing to offer. Again, depending on the terms of your policy, the maximum period for which the insurer will pay out may vary. Cheaper policies tend to have a limit of five years for payment, although many insurers will agree to pay out until you are able to go back to work or reach retirement age. This will, however, increase the size of your premiums. Clearly, if you are already nearing retirement age, it makes more sense to take a shorter payment period in exchange for lower premiums. It is also important to note that income protection insurance will not replace your full salary. In most cases, such policies will make payments equivalent to up to 60% of your pre-tax salary. Any disability or other benefits that you are claiming will also be taken into account; all policies will be capped in such a way that your total income from insurance payouts and benefits cannot total more than 75% of your salary. The terms of different policies can vary wildly, however, and it is therefore important to do some extensive research before making a decision. It is worth remembering that there has been a series of cases in which income protection insurance (or payment protection insurance) has been judged to have been mis-sold. If you believe that this applies to you, you may wish to read our article on reclaiming payment protection insurance premiums.